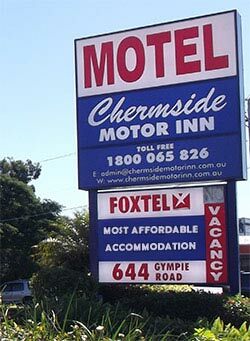 Chermside Motor Inn is perfectly located in Brisbane northern suburbs, on Gympie Road. Just 15 minutes from Brisbane CBD and with easy access to Brisbane Airport, we are the accommodation preference for many business and holiday travellers. If need accommodation while visiting Prince Charles Hospital or Holy Spirit Northside Private Hospital, we are only 3 minutes away.